Dung beetles are beetles that feed partly or exclusively on feces. All of these species belong to the superfamily Scarabaeoidea; most of them to the subfamilies Scarabaeinae and Aphodiinae of the family Scarabaeidae. 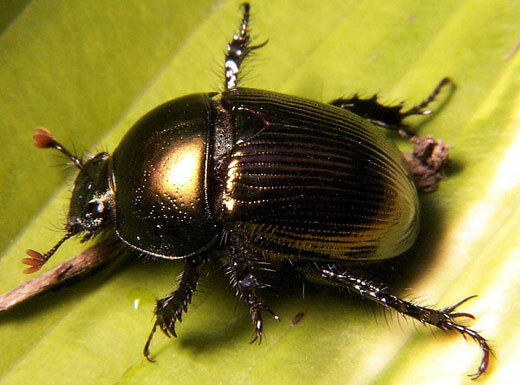 This beetle can also be referred to as the scarab beetle. 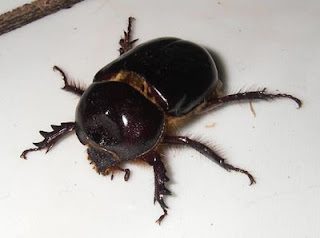 As most species of Scarabaeinae feed exclusively on feces, that subfamily is often dubbed true dung beetles. 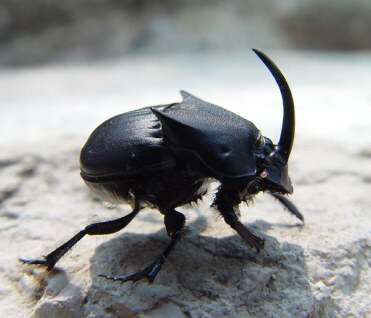 There are dung-feeding beetles which belong to other families, such as the Geotrupidae (the earth-boring dung beetle). The Scarabaeinae alone comprises more than 5,000 species. 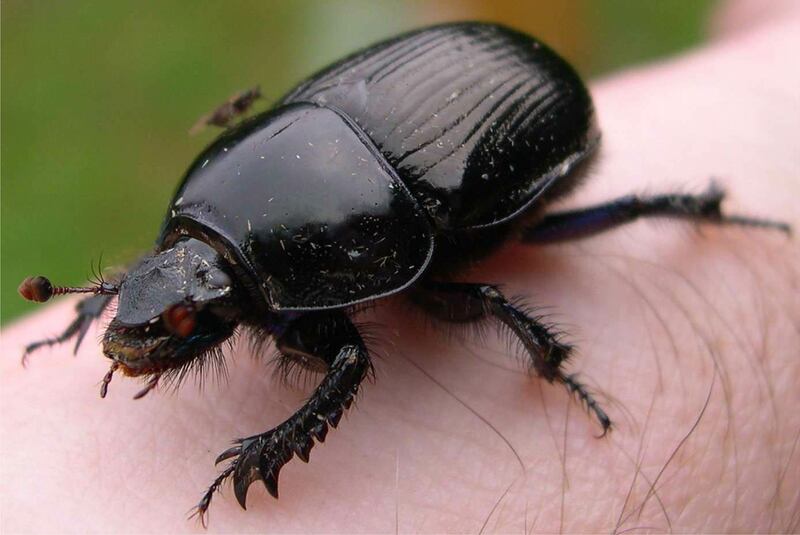 Many dung beetles, known as rollers, are noted for rolling dung into round balls, which are used as a food source or brooding chambers.